Please join us for April’s Business Connection hosted by Stamp -n- Storage on Friday, April 5 from 7:00 AM to 8:00 AM at 150 Michigan Street SE. See how Stamp -n- Storage can help you organize your craft and help you unleash your creativity! Business Connection is a morning networking event that takes place at a Chamber business on the first Friday of each month from 7:00 AM to 8:00 AM. Chamber members are invited to gather, enjoy coffee and a light breakfast, share a quick update or information on their business/organization, and learn more about the host business through a presentation. We will always have a Chamber updates for you as well. Door prizes will be given out, so make sure you bring your business card to be entered into the drawing. This new networking opportunity is a great way to get to know people in the community and keep in touch with Hutch! If you are part of a Chamber business/organization and interested in hosting or have questions about Business Connection, call the Chamber or email Ashley. April’s Business After Hours will be hosted by SouthPoint Financial Credit Union on Thursday, April 11 from 4:00 PM to 6:00 PM at 1250 MN-15. You may want to stop in and see SouthPoint’s new branch but just didn’t have time? Well now is your chance! They will be shining the light on what happens at a Credit Union! Stop by for appetizers, door prizes and a new flashlight! Business After Hours is a great way to learn about businesses in Hutchinson and network with fellow Chamber members. This is a way to get behind the scenes at our local businesses… to see what they make, do or provide. This monthly event is by Chamber invitation only and is open to all Chamber member business employees. Businesses interested in hosting a Business After Hours event or would like more information should email the Ambassadors. Online registration for April’s Business After Hours or call the Chamber at 320-587-5252. Want to jump start your networking skills? Try volunteering… when you volunteer, you give yourself the opportunity to learn more about other businesses/organizations and have the chance to meet other members of the community. Chamber members can post their Volunteer Opportunities on ExploreHutchinson.com. When your volunteer opportunity is posted it will receive public exposure on our website. Volunteering gives you a chance to focus on your personal growth. Because volunteering is all about embracing a “give back” attitude — you are almost certain to meet someone who can benefit you — or someone who you can benefit. Either way, you have just made a new contact and potential friend! Click on the image below for instructions or call the Chamber with questions. Dairy Day is scheduled for Friday, June 7 in Library Square Park! Come meet Princess Kay of the Milky Way, watch the cow milking contest, enjoy the kids’ activities and listen to live music! Looking for a way to get the word out about your business or organization? Sign up to be a Dairy Day Sponsor… super easy… just complete the printable Dairy Day Sponsor Registration Form (pdf) and mail, email or drop it off at the Chamber! 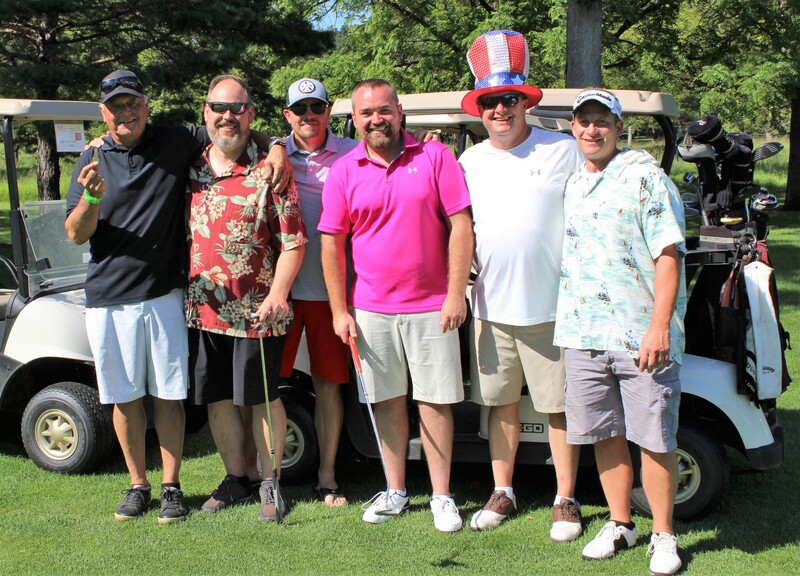 The 2019 Annual Chamber Hometown Golf Challenge will be held on Monday, July 22 at Oakdale Golf Course. This event is open to the public, for all levels of experience and fun for all! The Chamber typically host 100 golfers each year and everyone not only looks forward to golfing, but interacting with local business people. Take advantage of one of our sponsorship packages: Event, Hole, Staffed Hole or Field Event Sponsor. Just complete the printable Hometown Golf Sponsorship Form (pdf) and mail, email or drop it off at the Chamber. On September 13 & 14 the Chamber will be hosting the 45th Annual Hutchinson Arts & Crafts Festival in beautiful Library Square. Last year’s festival was a huge success and would not have been possible without our wonderful vendors! We thank them for their contribution to the festival. Whether you are a returning exhibitor or a new one, we would like to invite you to join us for this year’s festival. Additionally, if you know of anyone who may be interested, please pass along our festival information. We look forward to having our beautiful park filled with talented artists from across the United States. 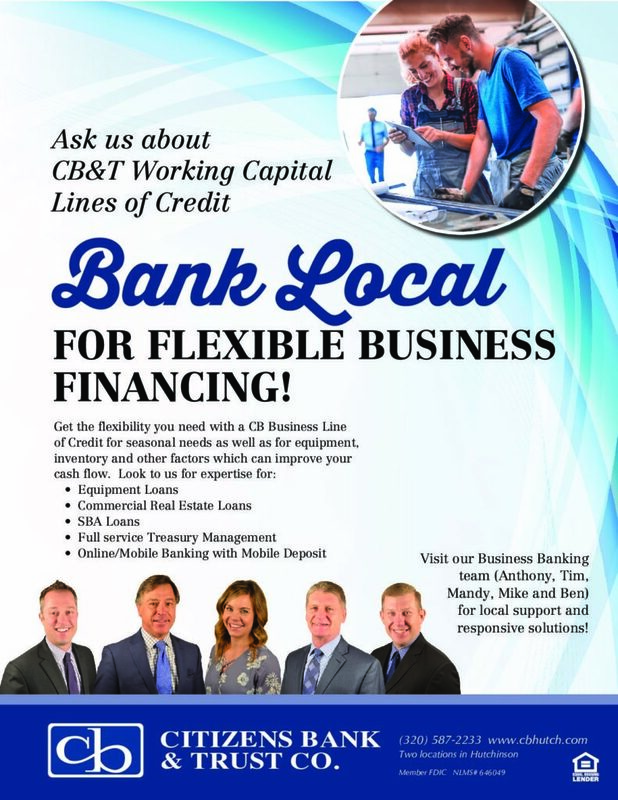 For any questions, please contact the Chamber at 320-587-5252 or email us. Mark your calendars for September 13 & 14 for the Taste of Hutchinson! This event is hosted by the Hutchinson Ambassadors and is located alongside the Hutchinson Arts & Crafts Festival. Interested in being a food vendor? 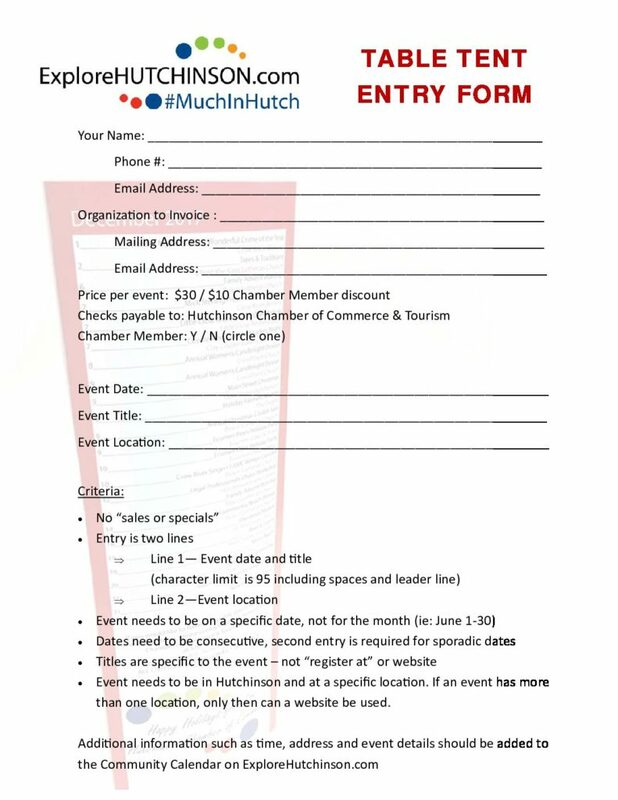 Just complete the printable Hutchinson Ambassador 45th Annual Taste of Hutchinson Food Vendor Application (pdf) and mail, email or drop it off at the Chamber. Early Bird Deadline is June 1 and General Application Deadline is July 1. Quarter 2 Table Tents are Here! Are you looking for a way to boost an upcoming Hutchinson event? The Chamber prints and delivers over 900 table tents around the community. Make sure you get your event added to the Chamber’s table tents. The cost is $30 per event listing for community members and $20 per event listing for Chamber Members. Submitting an event is easy… just complete the printable Table Tent Entry Form (pdf) and mail, email or drop it off at the Chamber. The deadline for Quarter 3 (July, August & September) is June 1. If you want table tents delivered to your business or if you want to submit an event for an upcoming table tent, please call Gina or email Gina. We would like to welcome our new member to the Hutchinson Chamber of Commerce! Our April Business of the Month is the Disabled American Veterans (DAV)! Learn more about what the DAV and their Auxiliary do for local veterans and people in our community in our April Business of the Month Article! 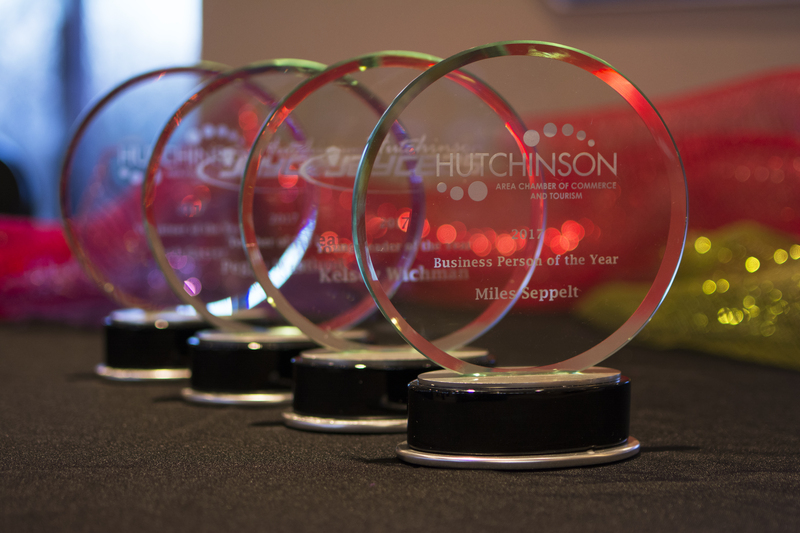 The Hutchinson Ambassadors serve as the welcoming and social area of the Hutchinson Chamber by actively supporting and promoting Hutchinson and its surrounding business community. You may have seen our Ambassadors around town – you can recognize them by their blue shirts and friendly smiles. They host Business After Hours, welcome new business openings, as well as, celebrate business renovations and milestones with an Ambassador Business Visit. PULSE meets for Lunch & Learn events on the second Wednesday of each month from 12:00 PM – 1:00 PM at Squeaky’s Grill and Bar. The events are free to attend, a $10 lunch option is available. The rest of Mary’s article can be found on April’s Something from Mary’s Blog. Get Connected with the Chamber! What’s Happening in March 2019! Thank you to everyone who helped make the very first Chamber Business Connection a huge success! A special shout out goes to Ashley Homestore for hosting the event, thank you Deb & crew! Business Connection is a morning networking event that take place at a Chamber business on the first Friday of each month from 7:00 AM – 8:00 AM . Chamber Members are invited to gather, enjoy coffee and a light breakfast, share a quick update or information on their business/organization, and learn more about the host business through a presentation. We will always have Chamber updates for you as well. Hot Deals for Chamber Members — Are you running any specials for your business? Maybe you are a retail store with a buy-one-get-one offer, or a service provider that’s offering discounted rates. Post these events on ExploreHutchinson.com to gain exposure to our wide audience. When you post a Hot Deal, an email is sent out to Chamber Members with details on the deal as well. 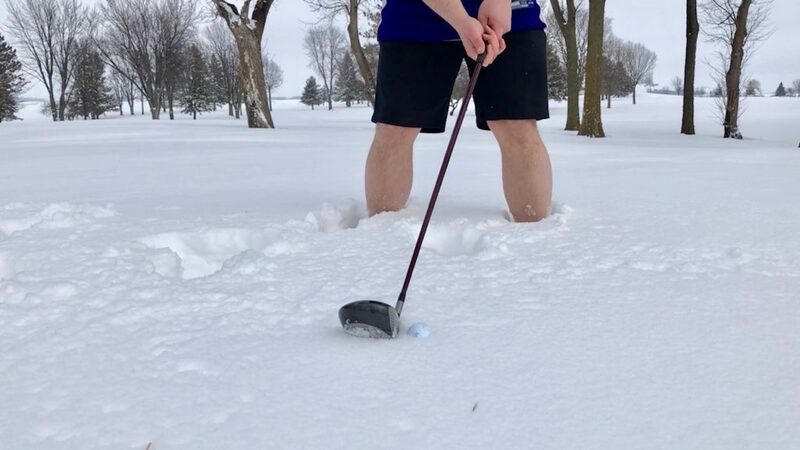 There is “SNOW” better time to start thinking about the Annual Hometown Golf Challenge!!! On Monday, July 22, the Chamber will host a Tailgating Party at this year’s Annual Hometown Golf Challenge at the Oakdale Golf Course. The golf event is open to the public, for all levels of experience and fun for all! Looking for a way to get the word out about your business/organization? Take advantage of one of our sponsorship packages. Event, Hole, Staffed Hole, Field Event Sponsorships are available now. Becoming a sponsor is easy… just complete the printable 2019 Golf Sponsorship Form (pdf) and mail, email or drop it off at the Chamber. The Chamber prints and delivers over 900 table tents around the community. Are you looking for a way to boost an upcoming Hutchinson event? Make sure you get your event added to the Chamber’s table tents. The cost is $30 per event listing for community members and $20 for Chamber Members, a $10 discount per event listing. If you want table tents delivered to your business, to submit an event for an upcoming table tent or if you have any questions. give Gina a call, send her an email or drop by the Chamber. Our March Business of the Month is the McLeod Emergency Food Shelf! This month our local food shelf participating in the MN FoodShare March Campaign. All donations raised between now and April 8th at 1:00 PM are eligible for additional grant funds! Learn more about this campaign and the food shelf’s future plans for physical changes in the Business of the Month Article! Business After Hours is a great way to learn about businesses in Hutchinson and network with the fellow Chamber Members. 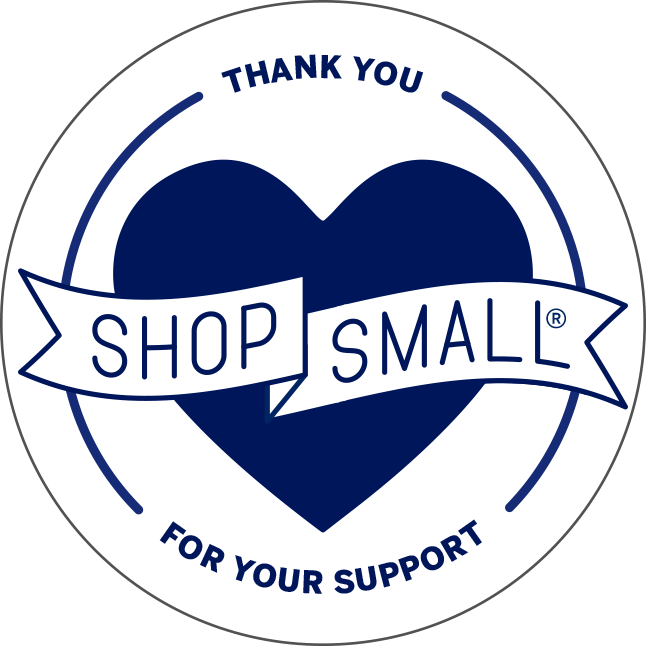 This is a way to get behind the scenes on our local businesses… to see what they make, do or provide. This monthly event is by Chamber invitation only and is open to all Chamber Member business employees. Businesses interested in hosting a Business After Hours event or would like more information should email the Ambassadors. March’s Business After Hours will be will be hosted by Ridgewater College on Thursday, March 14 from 4:00 PM to 6:00 PM at 2 Century Avenue SE. Click here to register online for March’s Business After Hours or call the Chamber at 320-587-5252. The rest of Mary’s article can be found on March’s Something from Mary blog. More for Your Business to Grow! What’s Happening in February 2019! These are morning networking events that take place from 7:00 am – 8:00 am on the first Friday of each month at a Chamber business. Chamber Members are invited to gather, enjoy coffee and a light breakfast, share a quick update or information on their business/organization, and learn more about the host business through a presentation. We will always have Chamber updates for you as well. If you are part of a Chamber business/organization and interested in attending, please register online in the link provided below. Multiple guests per organization are welcome, just remember to register! Please join us for the Chamber’s very first Business Connection at Ashley Homestore on Friday, March 1 from 7:00 am to 8:00 am. The Chamber takes this opportunity to thank 2018 Chamber Board Chair Keith Heikes for his service to the Board and to each of us in the past year; and we welcome the 2019 Chamber Board Chair Roman Bloemke into that position. The Chamber would also like to thank the outgoing Chamber Board Member for their committed service. 2018 and 2019 Chamber Board Chairs Keith Heikes and Roman Bloemke are pictured below awarding those outgoing members: Renee Hantge, Scott Ziegler, Corey Stearns and Nate Johnson. The Chamber takes this opportunity to thank 2018 Ambassador President Christine Ruppert for her service to the Ambassadors and to each of us in the past year; and we welcome the 2019 Ambassador President Leah Watzke into that position. Thank you for your support at the Chamber Annual Event and congratulations to the 2018 Community Award Winners! Thank you to everyone who helped make the 2019 Chamber Annual Event – 80’s Prom – A Night Under the Stars a huge success! A special thanks to our event supporters – Compass Occasions, Crow River Floral & Gifts, Crow River Winery, Innovative Foam, The Paint Factory and Walmart; to our event sponsors – Citizens Bank and Trust Co, Hutchinson Health, MidCountry Bank, MITGI and Uponor; and finally to the event music sponsor – Woodstone Senior Living. Our deepest gratitude to them for supporting our event. We would also like to thank our Visionary Sponsor: Citizens Bank and Trust Co. and our Champion Sponsors: 3M, Cobblestone Hotel & Suites, Hutchinson Health, MidCountry Bank, MITGI, SouthPoint Financial Credit Union and Uponor. The Hutchinson Chamber of Commerce and Hutchinson Jaycees are excited to announce the Community Award Winners. The winners are (from left to right) Business Person of the Year – William “Bo” Young, Teacher of the Year – Mackenzie Boeckers, Volunteer of the Year – Jackie Backen, Young Leader of the Year – Andrew Broll and Ag Person of the Year – Ted Matthews! 2019 Tourism Marketing Grant – Reminder – Deadline March 1! The March 1st deadline is quickly approaching for the Hutchinson Tourism & Marketing Grant. Grants are available for no-for-profit events and events and for-profit events that are marketing outside a 30-mile radius of Hutchinson. More information about the Tourism Marketing Grant program, grant criteria and grant application can be found on our Tourism Marketing Grant blog. Job Postings for Chamber Members — Are you looking for qualified applicants to fill open positions at your business? Post you job openings on ExploreHutchinson.com through your Chamber Membership. Use us a a trustworthy resource to get the word out about your available positions. We reference these job postings and share on our Facebook page! 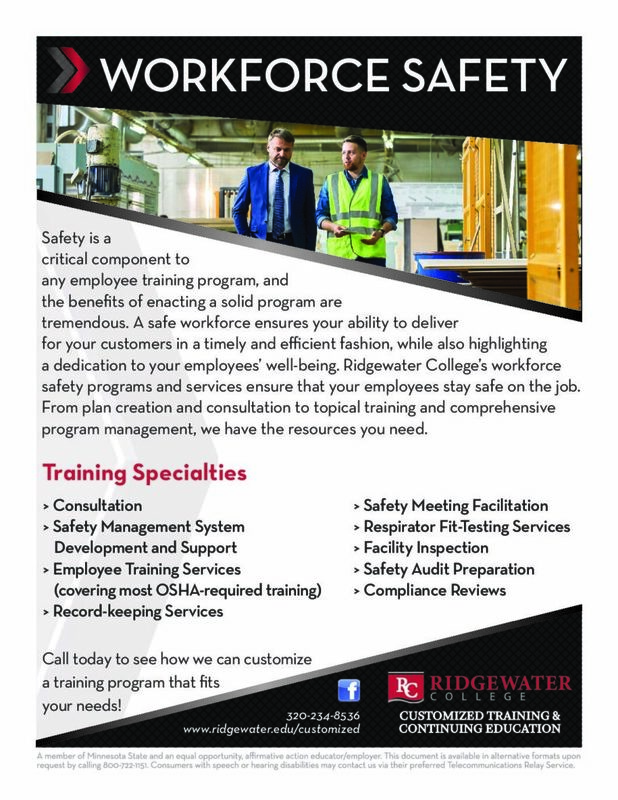 Click on the image below for instructions or call the Chamber with questions. Are you looking for a way to boost an upcoming Hutchinson event? The Chamber prints and delivers 900 table tents around the community. Make sure you get your event added to the table tents! The cost is $30 per event listing for community members and Chamber Members receive a $10 discount per event listing. Submitting an event is easy… just complete the printable Table Tent Entry Form (pdf) and mail, email or drop it off at the Chamber by the quarterly deadline. The deadline for Quarter 2 (April, May & June events) is March 1, 2019. Also, make sure to add it to the Chamber’s online Community Calendar. The Community Calendar averages about 100 views a day, so don’t forget to utilize it. 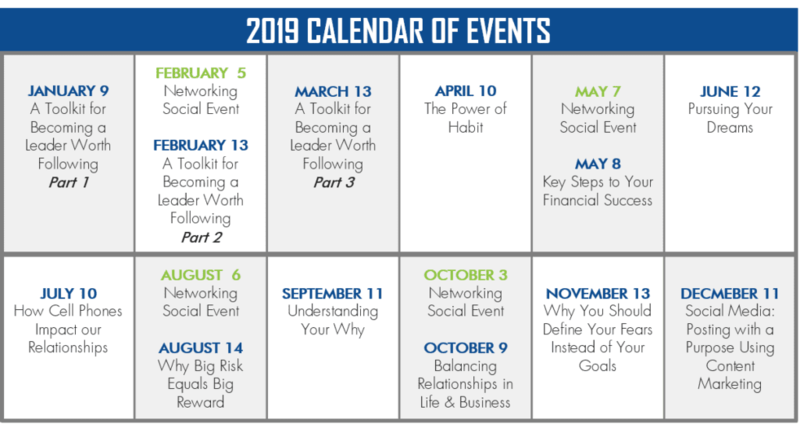 Submitting an event to the Community Calendar may be done through your Chamber Member Portal or you can go directly to the Community Calendar page. If you want table tents delivered to your business, to submit an event for an upcoming table tent or if you have any questions, give Gina a call, send her an email or drop by the Chamber. E.G. Rudd & Sons, Inc.
Our February Business of the Month is Adara Home Health! You may formerly know this business as Prairie River Home Care – find out more about their new brand and what Adara Home Health has to offer residents in the Hutchinson Community on the Business of the Month Profile Page. February Business After Hours has been cancelled. The Chamber and Hutchinson Ambassadors encourage everyone to enjoy the Valentine’s holiday by thinking local. Support your local businesses by shopping, dining and playing local this Valentine’s Day! PULSE meets for Lunch & Learn events on the second Wednesday of each month from 12pm-1pm at Squeaky’s Grill and Bar. The events are free to attend, a $10 lunch option is available. The rest of Mary’s article can be found on February’s Something from Mary blog. Moonwalk, Running Man, Thriller, breakdancing, Snake, Electric Slide, Worm, Dirty Dancing Lift, Walk Like an Egyptian, Right Stuff, Roger Rabbit, Voguing, Cabbage Patch, Pop ‘n Lock, Safety Dance, Sprinkler, and last but not least Everybody Footloose! Come out to the Crow River Winery on Friday, January 18 for the Chamber’s Annual Event – 80’s Prom “A Night Under the Stars” and you will be guaranteed to see some of the best dance moves from the 80s! Registration is open until Friday, January 11. To register for the 2019 Annual Chamber Event, 80’s Prom – A Night Under the Stars, use the online Annual Event Registration Form or by mailing/emailing a printable Annual Event Registration Form (pdf) to the Chamber. Additionally, the Chamber and the Jaycees will be announcing the Community Awards for Business Person of the Year, Volunteer of the Year, Teacher of the Year and Young Leader of the Year. You wouldn’t want to miss this event! Please help us congratulate the Chamber’s Ag Person of the Year – Ted Matthews. Ted was presented with the award at the 2019 Crop Management Input Seminar on Thursday, December 6 at the Hutchinson Event Center. Your congratulations go out to him for all his hard work and dedication! We want to thank the following members for renewing their partnership with us! Our January Business of the Month is B&B Sports & RV. Read more about this great local company in the Business of the Month article. Business After Hours is a great way to learn about businesses in Hutchinson and network with with fellow Chamber Members. This is a way to get behind the scenes on our local businesses… to see what they make, do or provide. This monthly event is Chamber invitation only and is open to all Chamber Member business employees. Businesses interested in hosting a Business After Hours event or would like more information should email the Ambassadors. January’s Business After Hours will be will be hosted by Melchert Hubert Sjodin at the Crow River Country Club on Thursday, January 10 from 4:00 PM to 6:00 PM at at 22 Main St N.
Click here to register online for January’s Business After Hours or call the Chamber at 320-587-5252. The rest of Mary’s article can be found on January’s Something from Mary blog. Quarter 1 Table Tents are Here! Are you looking for a way to boost an upcoming Hutchinson event? The Chamber printers and delivers over 900 table tents around the community. Make sure you get your event added to the Chamber’s table tents. The cost is $30 per event listing for community members and Chamber Members receive a $10 discount per event listing. Submitting an event is easy… just complete the printable Table Tent Entry Form and mail, email or drop it off at the Chamber. The deadline for Quarter 2 (April, May & June) is March 1.